The large study builds on a body of prior research showing the cognitive and psychological benefits of nature scenery — but also goes farther in actually beginning to quantify just how much an addition of trees in a neighborhood enhances health outcomes. The researchers, led by psychologist Omid Kardan of the University of Chicago, were able to do so because they were working with a vast dataset of public, urban trees kept by the city of Toronto — some 530,000 of them, categorized by species, location, and tree diameter — supplemented by satellite measurements of non-public green space (for instance, trees in a person’s back yard). They also had the health records for over 30,000 Toronto residents, reporting not only individual self-perceptions of health but also heart conditions, prevalence of cancer, diabetes, mental health problems and much more. The results are powerful because of the size of the study, however, because they are “correlational,” as scientists put it, they cannot definitively identify the precise mechanism by which trees seem to improve health. However, there are some obvious possibilities, including one explanation that seems likely to at least partly account for the results. 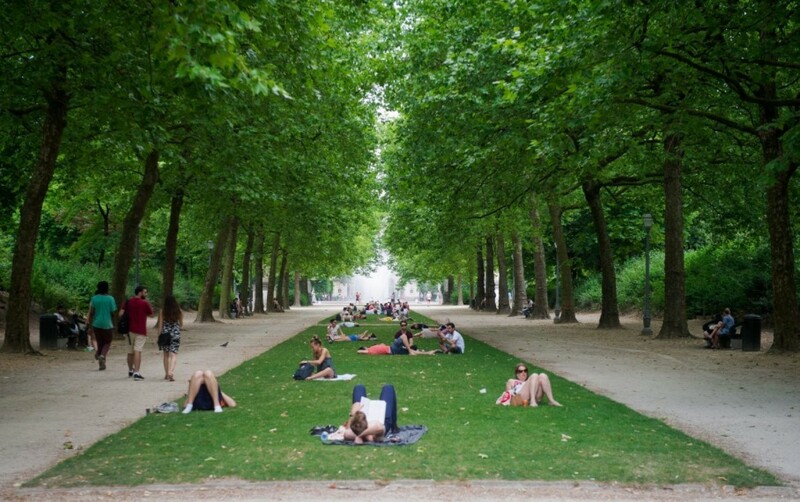 This is that trees are known to improve urban air quality by pulling ozone, particulates, and other pollutants into their leaves and out of the air, and thus, partly protecting people from them. But that’s not the only possible explanation. Others, says Berman, include stress reduction that comes from being around greenery — a mental effect that translates into physical benefits — or the possibility that being around trees somehow increases one’s propensity to exercise. He also suggests that air quality improvement alone may not be able to explain why people subjectively perceive their health to be better when they live around more trees, in addition to the improvements seen in other health measures — implying a possible psychological factor. “People have sort of neglected the psychological benefits of the environment,” said Berman. “And I think that’s sort of gotten reinvigorated now, with these kinds of studies.” Particularly beneficial to the research has been the availability of satellite techniques to precisely quantify the amount of green space in a given residential area, he said – and the ability to combine that kind of data with large health databases. It’s important to note that while the research was conducted based on data from the city of Toronto — which being in Canada, its citizens have universal health care — that is not necessarily a problem, as health disparities still exist in Toronto. “Canadians with lower incomes and fewer years of schooling visit specialists at a lower rate than those with moderate or high incomes and higher levels of education despite the existence of universal health care,” the study notes. One interesting finding — that street trees seemed to have a more beneficial effect than private or backyard trees — may be explained by the fact that they are “more accessible to all residents in a given neighborhood,” the paper notes. The researchers are not shy about using these results to make policy prescriptions — they think it would be well worth the cost to plant more urban trees. “Ten more trees in every block is about [a] 4% increase in street tree density in a dissemination area in Toronto, which seems to be logistically feasible,” the study notes. “I’d feel pretty confident to say to a municipality, increase the number of trees by 10″ per block, said Berman. Previous Dear Fairy Godmother : Massage for everyone, every day !